Addiction and mental health issues often go hand in hand. Many people with mental health problems such as anxiety disorder or depression will turn to substances like alcohol or drugs to provide temporary relief for their conditions. Taking drugs or drinking alcohol may make them forget their problems but the more they abuse the substance, the greater their risk of addiction. On the flip side, those who have developed drug or alcohol addictions may then develop mental health conditions such as depression as they struggle to cope with the weight of their problems. Those who are dealing with both addiction and mental health problems are said to have a dual diagnosis and so require more complex treatment programmes. Thankfully, many organisations around the UK provide specialist care to those with dual diagnosis. It is essential that those with dual diagnosis get sufficient care for their addiction and their mental health disorder. Unfortunately, dual diagnosis patients often fail to get the help they need because their condition acts as an obstacle they cannot get around. Those who have mental health problems are often in denial about their addiction, which in turn prevents them from seeking the help they need. They find it difficult to escape their addiction because of their mental health condition and their addiction makes it more difficult for them to get help for their mental health problems; it is what is known as a Catch-22 situation. In the past, dual diagnosis patients were often at greater risk of relapse because not enough was understood about their condition. Rehabilitation often just focused on treating the addiction and once the patient left rehab, he or she would still have the mental health problems that may have been the reason this individual started abusing chemical substances in the first place. 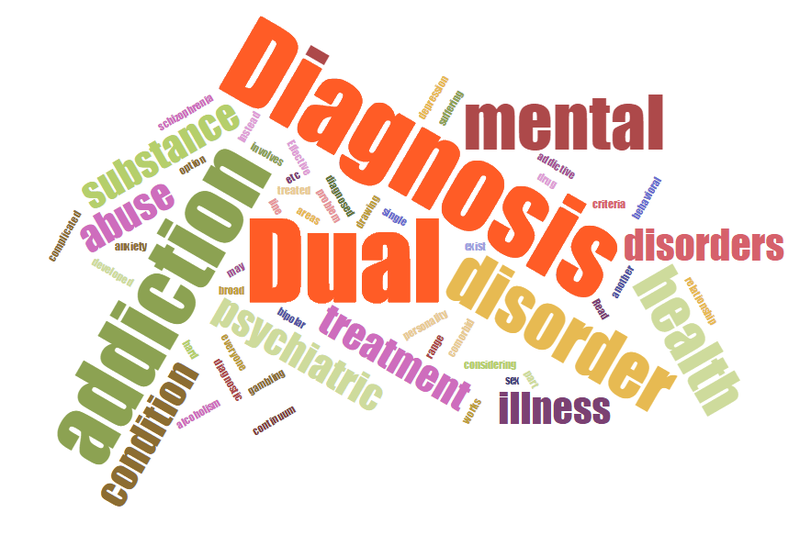 These days, counsellors and therapists are fully aware of dual diagnosis and how it needs to be treated. Many treatment providers have fully trained staff experienced in helping dual diagnosis patients to overcome their illnesses. This means that both conditions will be treated at the same time to give the patient a greater chance of successful long-term recovery from addiction. Unfortunately, some patients with dual diagnosis still do not get the help they need for their problems. Those with dual diagnosis treated only for their addiction may find that sobriety is a major struggle and symptoms from their mental health conditions may become more pronounced. This could mean that they are at greater risk of relapse. Those who do not realise the affected person is suffering from dual diagnosis may assume that he or she is not putting in enough effort to overcome his/her addiction. Voicing these opinions may make the patient feel inadequate leading to him/her suffering with low self-esteem, which can again result in relapse. Those who are told they are not working their programme correctly or are not putting in enough effort may try even harder to do well in recovery. If they fail to see any progress, they may become extremely frustrated and disappointed, possibly leading to serious consequences, including suicide. If you have been struggling with your recovery or are worried about how a loved one is coping, call us here at Middlegate today. It may be that you have dual diagnosis that has not been correctly treated. Our experts will assess your situation and will recommend an appropriate treatment programme based on your needs and circumstances. We can help you to get the most from your recovery and ensure you do not end up back where you started.